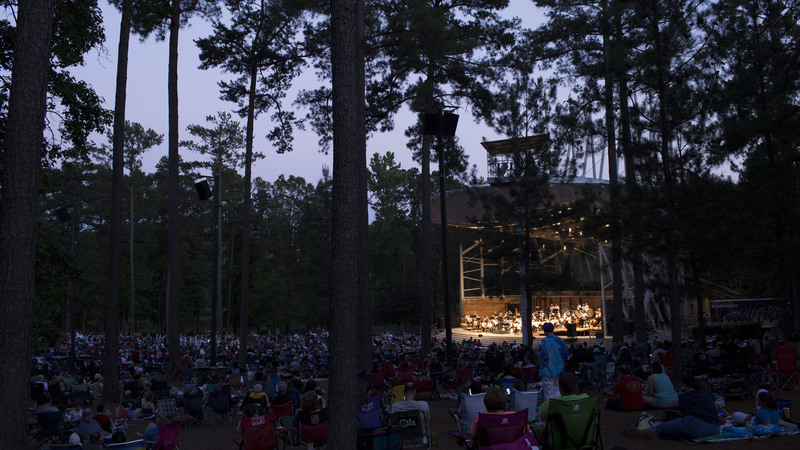 Booth Amphitheatre, located in the midst of pine trees by Cary's Symphony Lake, is the Triangle region's premier outdoor performing arts venue. 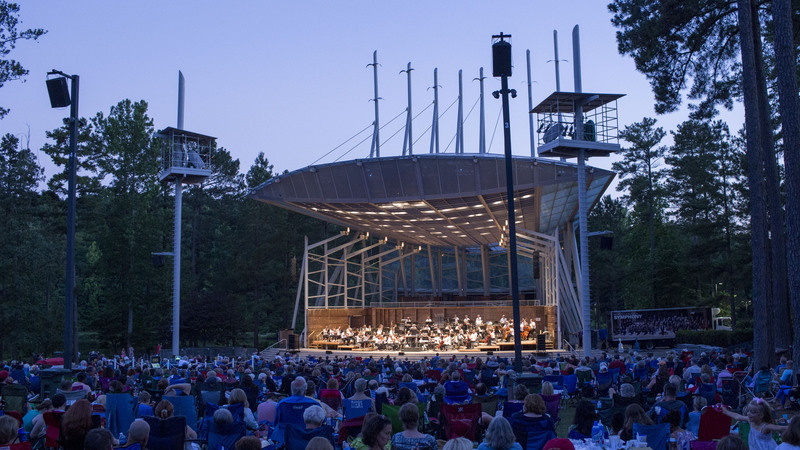 Featuring the North Carolina Symphony's Summerfest series presented by UNC REX Healthcare, it is a picturesque summer home. Parking is adjacent to the Amphitheatre and free of charge. Upfront Preferred Parking is available for $15 the day of a concert, subject to availability. A courtesy shuttle is in service at most events to assist patrons needing extra help getting from the parking lots to the entrance. Except for the Preferred Parking lot, the Amphitheatre’s parking is free. Some of the Amphitheatre's parking is reserved at Summerfest concerts for attendees using Summerfest parking permits issued by the North Carolina Symphony. Amphitheatre parking attendants can guide arriving patrons to the best parking available. Summerfest is a fun, casual concert experience! Bring anything you need to enjoy your evening of music — including beer, wine, and picnics (get creative with concert themed culinary goodies for a chance to win our Picnic of the Week contest); lawn chairs and blankets (chairs may also be rented at the Amphitheatre); and your umbrellas, just in case (concerts take place rain or shine)! In celebration of the 50th anniversary of the Apollo moon landing, the North Carolina Symphony will journey through space and beyond—featuring music from Star Wars, Holst’s The Planets, and more—plus, costumed Star Wars characters from the 501st Legion will be on site for photo opportunities and the Morehead Planetarium will bring astronomy activities. 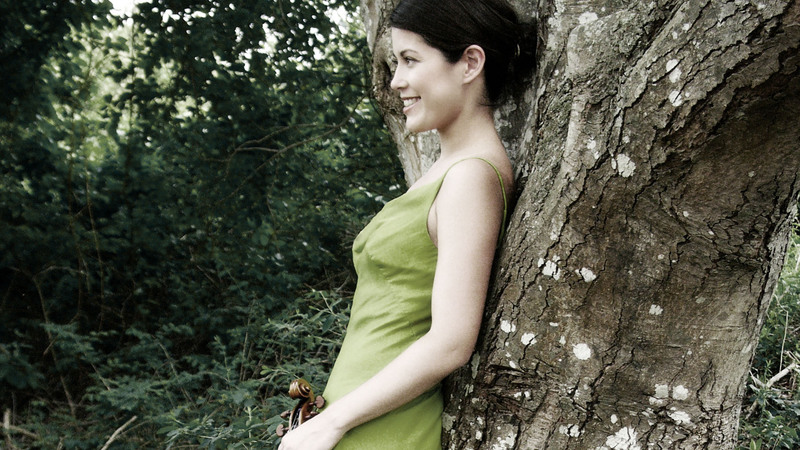 Sway to sultry tangos as Argentina’s most famous composer, Piazzolla, paints vivid musical images of his homeland in The Four Seasons of Buenos Aires, featuring Grammy-nominated violinist Jennifer Frautschi. Playful rhythms, familiar dance tunes, and fiery passion captured in works by Copland, Márquez, and more will transport you to Latin America in this snappy, sizzling program. 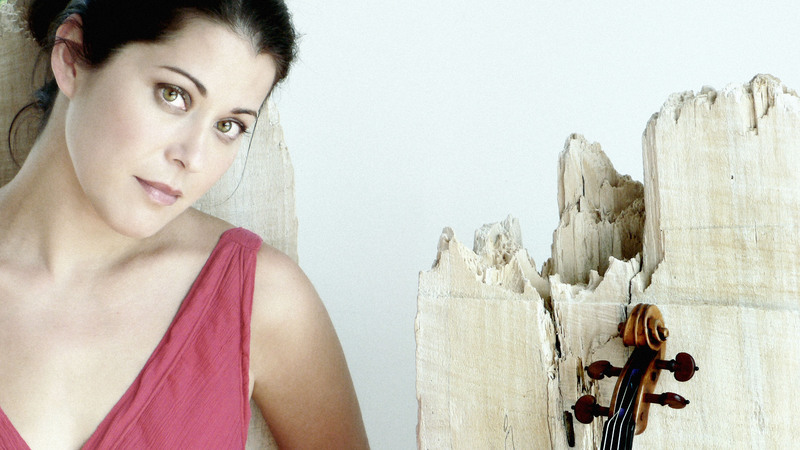 In one of the most popular violin concertos ever written, Vivaldi evokes the sounds of the world’s natural wonders—singing birds in springtime, raging summer thunderstorms, autumnal countryside scenes, and the icy beauty of winter. Mendelssohn echoes Vivaldi’s talent for musical storytelling in his ethereal Overture to A Midsummer Night’s Dream.